With the birth of Hazrat Shah Hussain in the year 1538, the world of mystic poetry witnessed a tremendous upheaval. His devotion to God was a priceless example of surrender. In his rare genius one witnessed the epitome of piety. Historians differ on his origins. While same insist that Shah Hussain was born outside Texali gate alongside the river Ravi, others claim that he was born in Dhadhi village in Pind Dadan khan of the Jhelum district. The first Punjabi poet whose Kalam included the mixture of Punjabi with Pothohari Hindi, Persian and Arabic Shah Hussain’s Kafees are effortlessly worded poetry so simple that the message is conceived easily. His poetry revolves around his pursuit of the knowledge of God and discovering our own selves in that context. Such was his dedication that he one broke all rules of the Shariah to find the truth about Tasawuf. Because of this there are many that claim that he was a Malamati who had shaved his head and refused to go to the mosque. Often he called himself Hussain Julaha, Hussain Namana Hussain faqeer and shah Hussain in his poetry. Amidst the fold poetry it is suddenly the voice of Hussain himself apparently humanized with the voice of the folk singer and yet transcending it. The voice of Shah Hussain brings into being the dimesion of freedom rendering actual what had for long remained only possible. Freedom for the folk singer and the poet himself… his work is a romantic celebration of all the symbols of the rich Sufi heritage. Hazrat Shah Hussein was 63 when he passed away leaving behind legacy of Sufiana poetry. He was buried in Shahadara from where after 13 years his body was exhumed and re buried at Babupura now known as Baghabanpura after the ricer Ravi changed its course while flooding his grave in Shahdara. It is said that his staunch follower Madhu after whom shah Hussain was also called Madhu Lal Hussein was also buried next to him. Begum Abida Parveen is the successor to the legacy of Nusrat Fateh Ali Khan and one of the greatest and Mullifuous singers of Sufi culture. She is incomparable in expressing Sufi Mysticism and its depth. A sindhi form Larkana, Abida Started her singing career as a little girl. Her father was a singer who encouraged young Abida to become the disciple of Ustad Salamat Ali Khan. After the Maestro’s death Abida Parveen has taken his place as the undoubted numero uno. As the queen of Sufi mystical singing she’s at her best with Sufiana kalaam be it in Hindi, Urdu, Punjabi, Sindhi or Saraiki. Her inspiration is the Sufi saint Shah Abdul Latif an 18th century poet and composer who blended folk music and classical raga in a style known as Kafi. 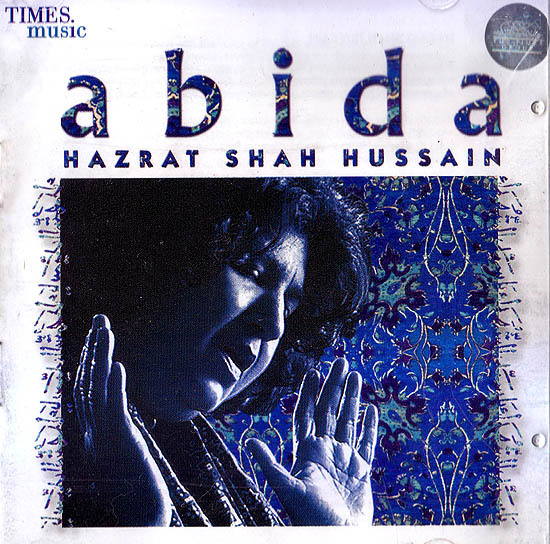 Begum Abida Parveen primarily sings the structured poetic kafia as well as the soulful ghazal genre of singing and improvisational qawwali style. The timeless beauty of Hazrat Shah Hussain’s poetry when rendered in the robust and crystal clear voice of the Inimitable Abida Parveen witness an almost divine transformation Shah Hussain’s beautifully woven words coupled with Abida Parveen’s exuberant style are a flamboyant expression of devotion of love of life itself.